What is a Ten Key? Ten key layout involves placing the numbers 1 through 9 in three layers with three numbers each. Some computer keyboards have two ways for a user to input numbers -- there is a row of numbered-keys above the letter keys and there is a separated ten-key section on the right. A ten key is set up in a way to make typing numbers fast and accurate. A ten key refers to a type of adding machine or calculator with the numbers 1 through 9 in three rows of three. The term can also refer to the number pad on the right side of many computer keyboards, which features a similar set-up. 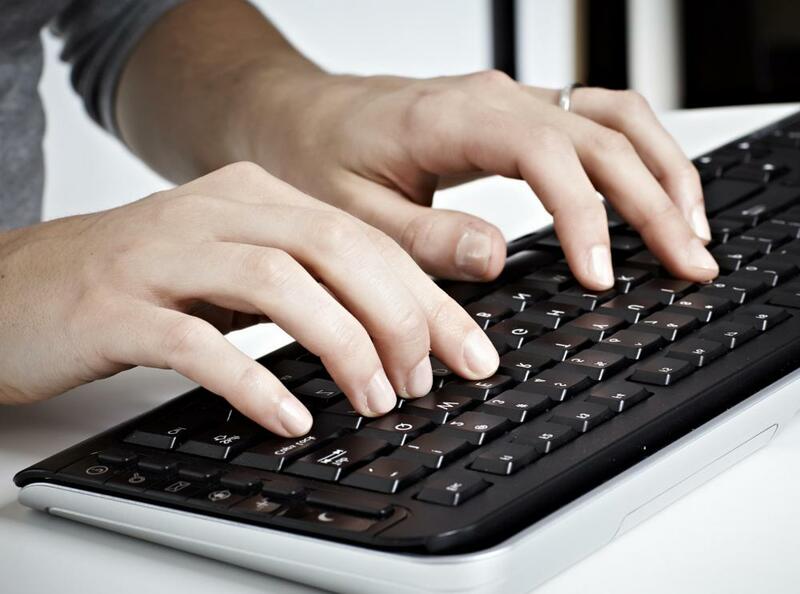 In jobs that require data entry or accounting skills, knowing how to use this type of keyboard can be very important. While learning the basics of ten key may take only a few minutes, it can take months of practice to master. The original ten key was an adding machine; the three by three arrangement of keys was first used in 1911 on a machine invented by David Sundstrand of the Sundstrand Adding Machine Company. Similar machines are still used by accountants and other professionals who do a lot of mathematics. Instead of using an "=" key to complete an equation, they usually have a key marked "T" for total, which serves the same purpose. These machines have become somewhat less common as computers have become more popular, but are still useful in some professions. 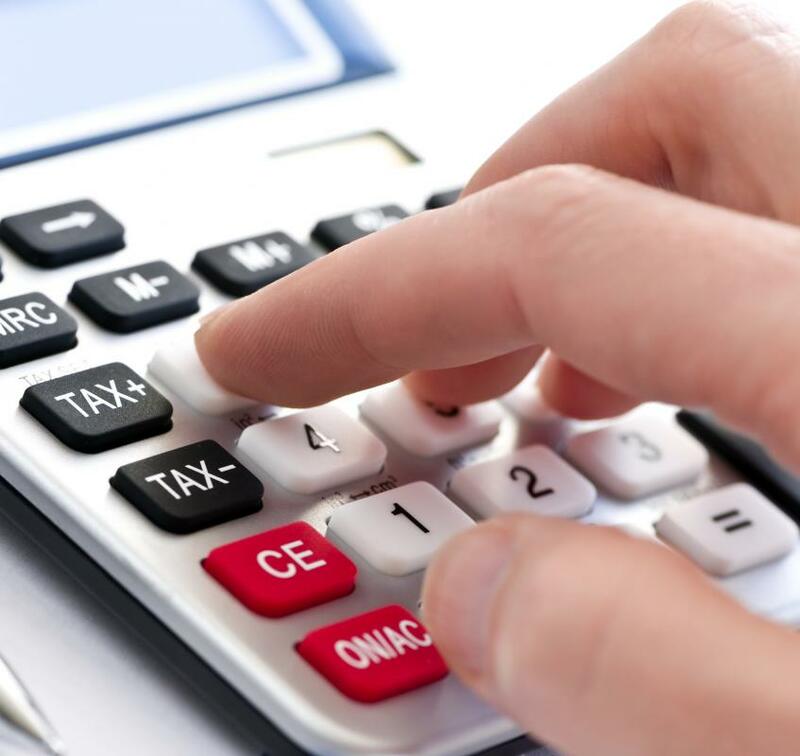 Calculators often feature a similar number pad layout, but typically offer many additional keys to handle more complicated mathematics. A ten key layout is commonly found on personal computer keyboards, usually to the right of the alphabet keys. Laptops and other small computers may only offer number keys above the main keyboard or include a number pad that shares keys with letters on the right side, as a separate keypad takes up too much space. Left-side keypads are available, although they are uncommon; in addition, separate USB ten keys can be plugged into a laptop or other machine. Most computers, even those without a separate number pad, usually have a ten key calculator accessory that displays on the screen. A ten key is set up in a specific way to make typing numbers fast and accurate. The center of the keypad includes the numbers 1 through 9, laid out in three rows of three numbers each. The numbers run in order from left to right, and bottom to top, so that the 1 is in the bottom left of the box, while the 9 is in the top right. Surrounding the number pad are command buttons that can be used to perform mathematical functions, such as adding, subtracting, and totaling. Many ten keys will also have buttons that allow the user to add decimal points or fractions. On some computers, the numbers on the pad may have multiple functions. These models often have an additional button called "number lock," which allows the user to type only the numbers. Learning ten key is a little bit different than learning to type. A user places the index, middle, and ring fingers of his right hand over the middle number row, which contains the numbers 4, 5, and 6. This starting position is known as the home row or home position. From here, each finger is responsible for hitting the number it rests on in home position, as well as those directly above and below. For instance, the index finger sits on the 4 button, and also is used to strike the 7 and 1. The middle finger rests on the number 5 in home position, but also is used to hit 2 and 8. The keys on the right side of the pad can be hit with either the ring finger or the pinkie, with the exception of the "enter" or "total" and decimal point buttons in the bottom right, which are always hit with the pinkie. The 0, which sits below the 1 and 2, is hit with the thumb. Some computers, calculators, and adding machines have modified keyboard for left-handed users. While finding these can be tricky, they may make learning to type easier and faster for those who are extremely left-hand dominant. Learning to use the more common right-handed models is also possible for lefties, but may be a little harder at first. Instead of measuring speed with words per minute (wpm) measurements as in typing, ten key is measured in either keys per minute (kpm) or strokes per minute. Most employers use the kpm designation when seeking employees and set a minimum number for applicants. Many jobs require applicants to type at least 140 kpm, though some companies which require only a little data entry might accept less. Practice is the key to reaching the speed required in the professional world. Once the basic method is mastered, getting faster is simply about becoming more comfortable using the number pad and building muscle memory. There are some software programs that can help users improve by targeting specific skills and offering exercises meant to increase speed. Users may feel discouraged at first, since the typing method is so different than that used in normal typing, but speed and accuracy will improve with daily practice. One good way to test kpm speed is by using an online testing website. There are many free sites where users can check their speed and accuracy by completing short, timed tests. Taking these tests occasionally can also help challenge skills and push ability levels. Some websites will also provide a certificate of abilities that can be shown to potential employers, though these are usually offered for a fee. Many different types of jobs require ten key skills. Data entry jobs, including administrative and secretarial work, may require a high degree of skill and accuracy with number entry. Bookkeeping positions at retail stores, medical offices, and legal practices may also call for lots of mathematics and data entry. Jobs in accounting often feature daily use of ten keys, and may have very high kpm standards. Even if not specifically required, having a good skills can be a great thing to add to any administrative or data entry resume. Why Do We Call Our Letters the “Alphabet"? If you look at a typical computer keyboard with a number pad, you'll probably discover that the "5" key has a raised spot just like the "F" and "J" keys on the home row. When you learn 10 key, the middle row (4,5,6) becomes your default home row. You learn that your forefinger is responsible for the 1,4,7 keys, your middle finger is responsible for the 2,5,8 keys, and your ring finger is responsible for the 3,6,9 and decimal point keys. Sometimes the typing manual will recommend using your thumb for "0", although that's a matter of preference. I use my pinky for the "plus", "minus" and "enter" operations. to look away from the copy when entering a string of numbers. "1" is a low tap with your forefinger then back over the "4", for example. Just like in regular typing, once you develop muscle memory for each key, your overall speed and accuracy will improve. People might tell you that learning 10-key is easy, but not everyone is the same. If it's hard for you to learn the regular keyboard set up, then it might be easy for ten keys because there are less keys to trip you up. If you're a CPA, learning 10-key is essential. I don't know what kind of work you do, gameaddicted, but you should start just by typing the basic numbers. There are lots of websites out there that can help you learn 10-key no sweat. Good luck! A lot of people find ten-key extremely easy to learn. Once you know it, it comes in handy - especially if you're going into a business where number crunching occurs every day. I just started and it's not so easy for me, does anyone have any good tips on how to learn it quickly? It was very easy to learn 10-key since I was already familiar with touch-typing. It took a little practice, but I was actually surprised how quickly I was able to pick it up. If you already know how to touch-type, you should really learn 10-key, because it makes doing calculations orders-of-magnitude easier.